At CES 2015, Lenovo and NEC Personal Computers announced two mobile PC models that redefine lightweight computing, both weighing less than a 32-ounce water bottle. The Lenovo LaVie Z HZ550 takes the title of the lightest 13" laptop at just 1.72 pounds, while the Lenovo LaVie Z HZ750 claims the lightest 13" convertible PC at just 2.04 pounds. The LaVie Z HZ750 not only gives you incredible portability, but also a new level of flexibility with its 360° hinge, pioneered by Lenovo in its original YOGA series. The LaVie Z offers a two-in-one experience: Laptop mode with the comfortable keyboard, or rotate it 360° to Tablet mode for closer, more interactive computing. They’re not only lightweight—both models of the LaVie Z are also thin, measuring just 16.9mm. While the LaVie Z models are very thin and lightweight, they’re also quite durable. Both machines use a specialized magnesium-lithium body construction, including a forged back cover. The materials are 50% lighter than aluminum and as strong as any heavier typical magnesium-alloy laptop materials. The HZ750 also has a direct bonded touchscreen that uses a film instead of cover glass. The LaVie Z ultraportables can come with an optional 13.3" WQHD touch screen for vivid, lifelike images. 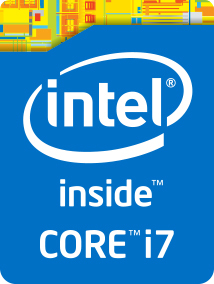 The HZ750 has a powerful 5th-Generation Intel® Core™ i7 processor that can run multiple apps simultaneously. Other performance features are the Microsoft Windows 8.1 operating system for maximum productivity and fast, responsive 128GB SSD storage. Both devices are Lenovo’s first NECP products available outside Japan, resulting from Lenovo’s joint venture with NEC since 2011. In the United States, the Lenovo LaVie Z HZ550 and HZ750 will be available beginning in May, 2015. In Japan, the new LaVie Z models will be available in spring, 2015. Please fill in the form below to be notified when this product becomes available at B&H. Unfortunately we currently do not have an ETA to when we will be receiving this product.